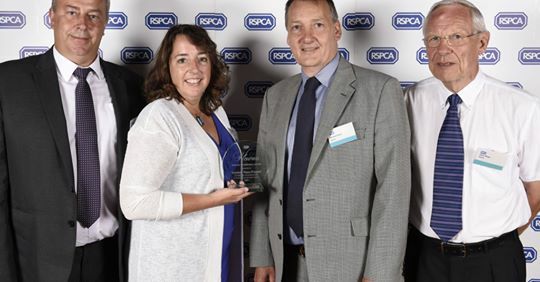 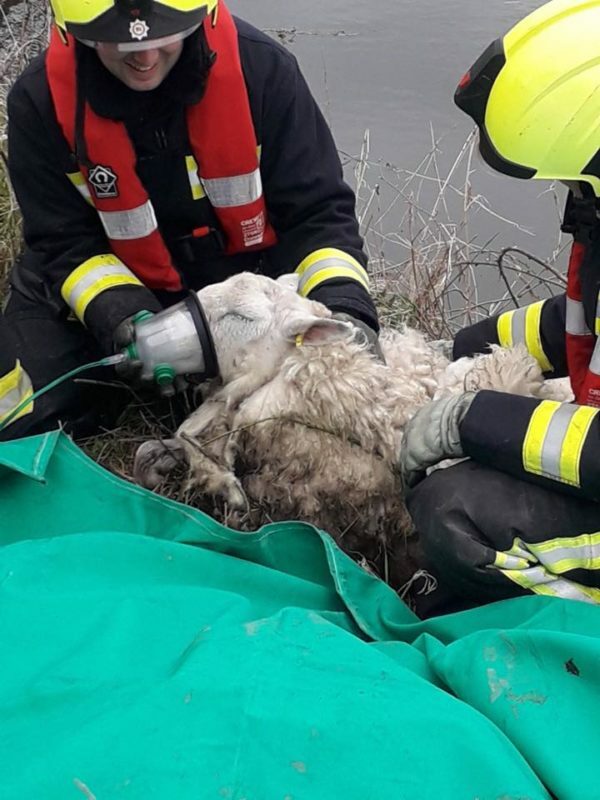 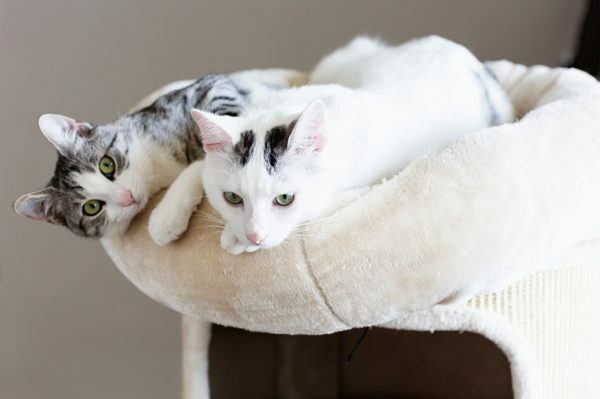 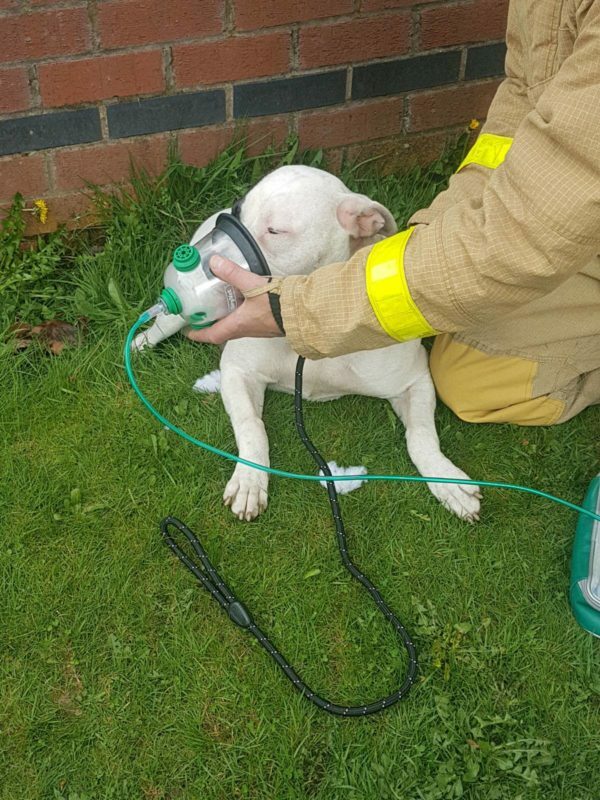 Hear about the people’s pets that have been saved from life-threatening situations because one of our specialised oxygen masks were available to emergency services. 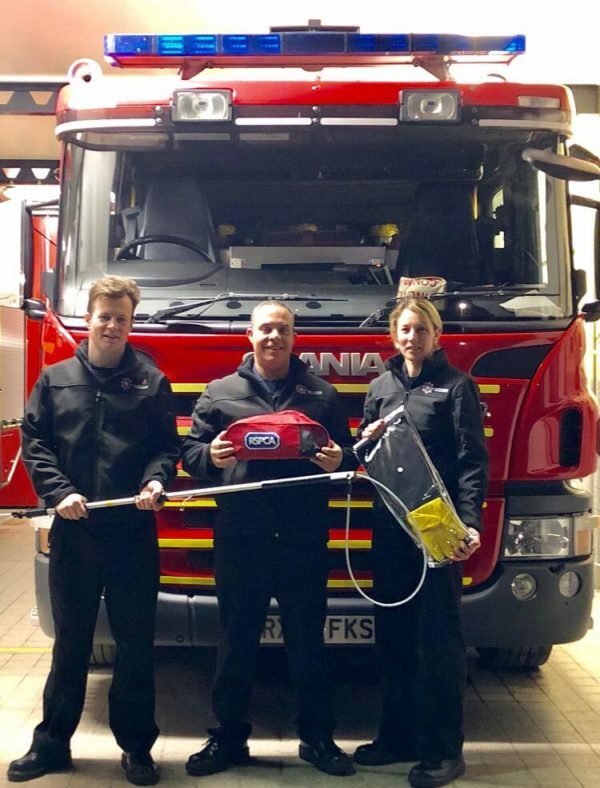 Derbyshire Fire Service now have our masks! 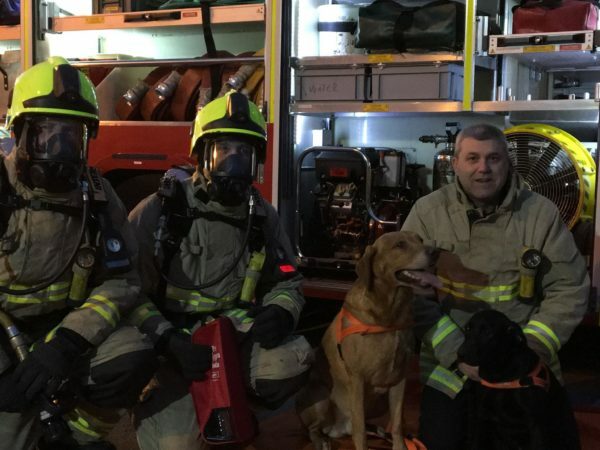 Two dogs resuscitated following boat fire with our masks! 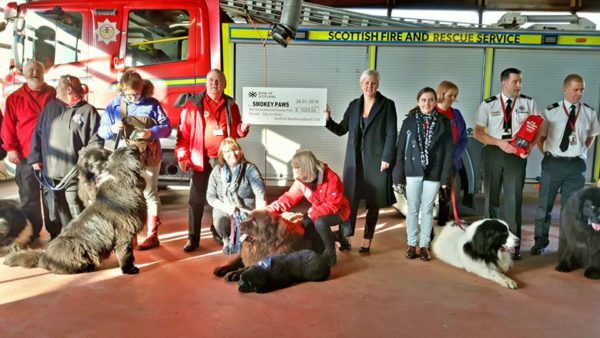 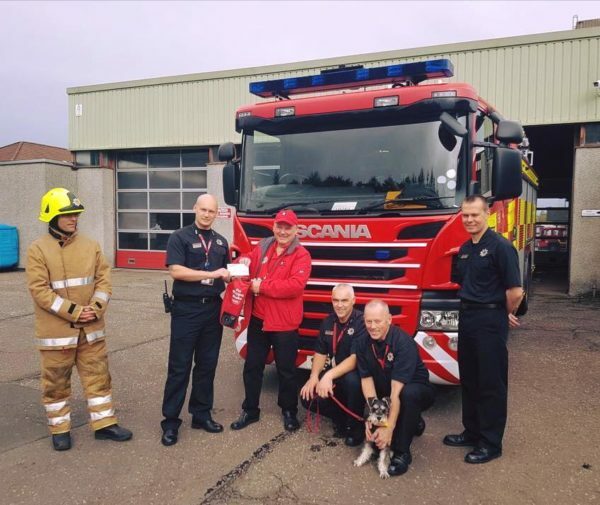 Helensburgh Community Fire Station has become the latest recipient of Smokey Paws oxygen therapy kits! 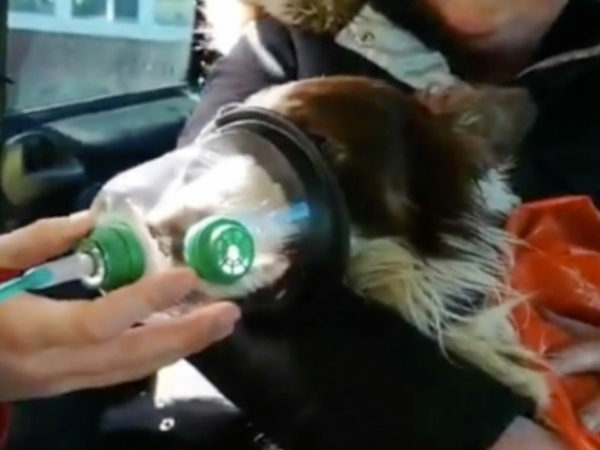 Two dogs given oxygen through our masks in Furneux Pelham! 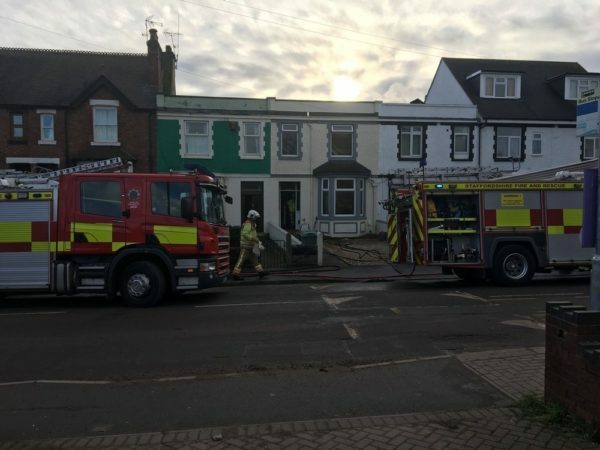 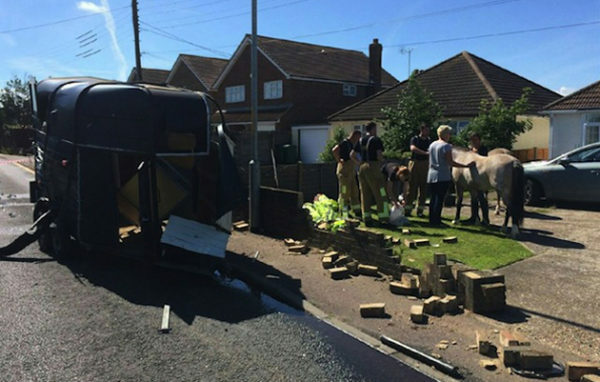 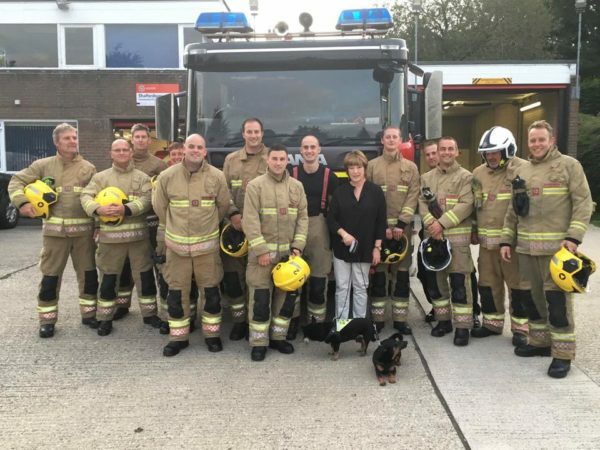 Lucky pug rescued by Dogsthorpe & Stanground Fire Crew! 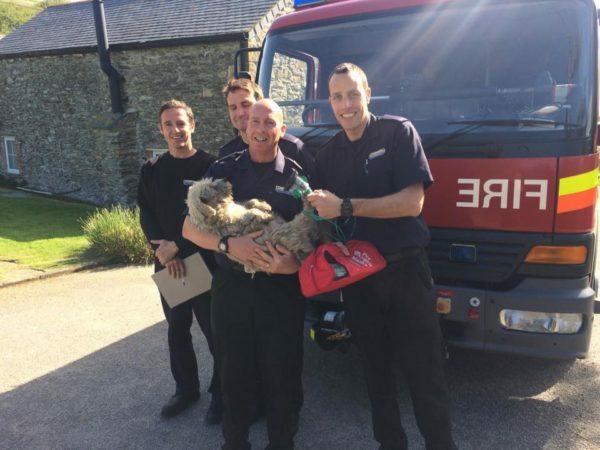 Dog resuscitated by Newquay Fire Service using Smokey Paws masks! 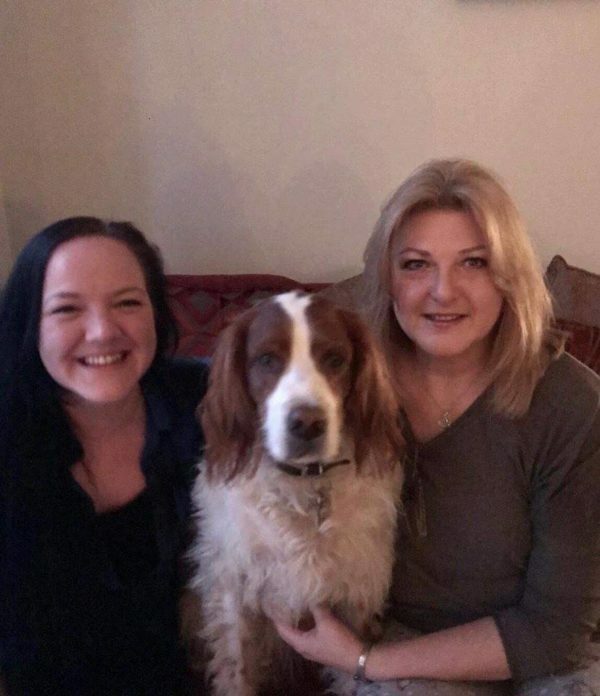 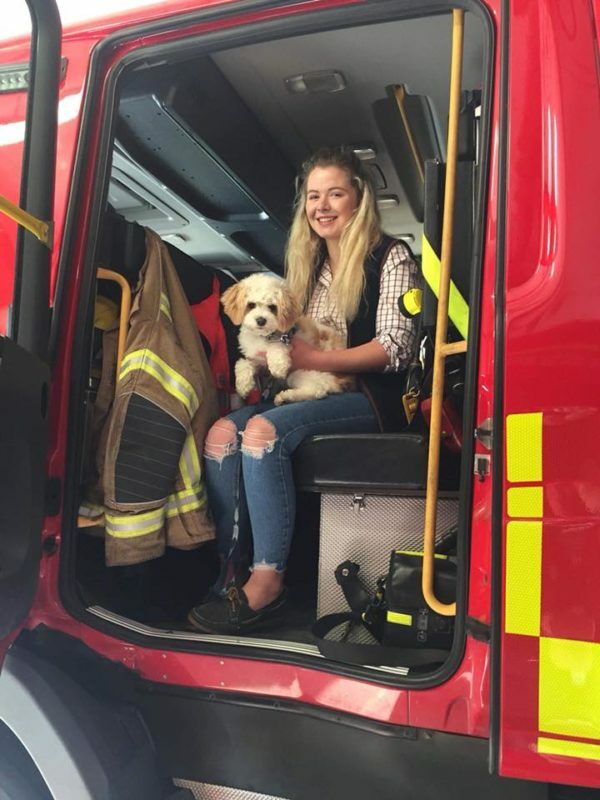 Robyn from Vets4Pets Hereford raised a huge £740 for Smokey Paws! 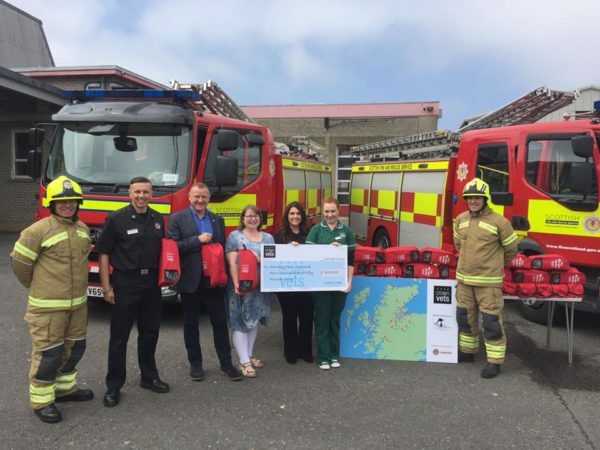 Crown Vets Inverness raise an incredible £4,050 to fund 45 mask kits for Scottish fire & rescue! 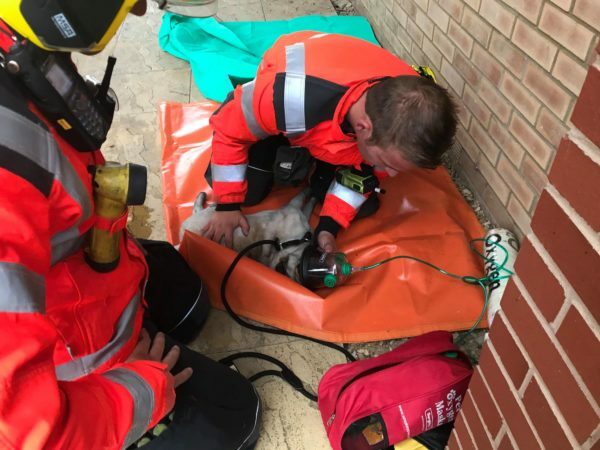 Our masks used to resuscitate cat from house fire in Welwyn! 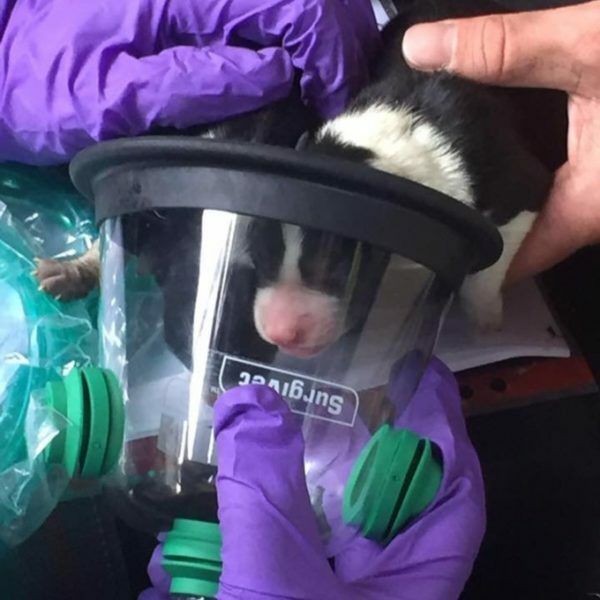 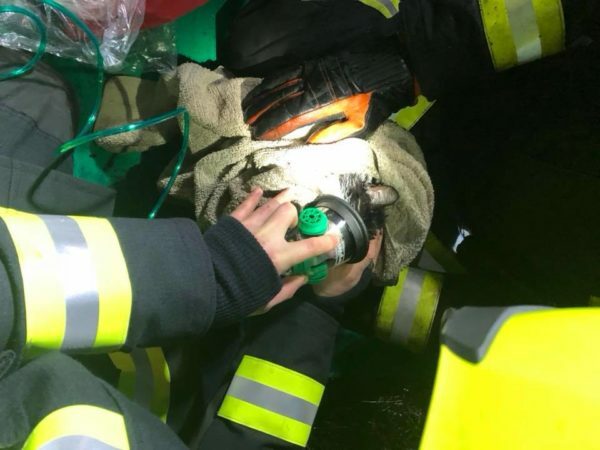 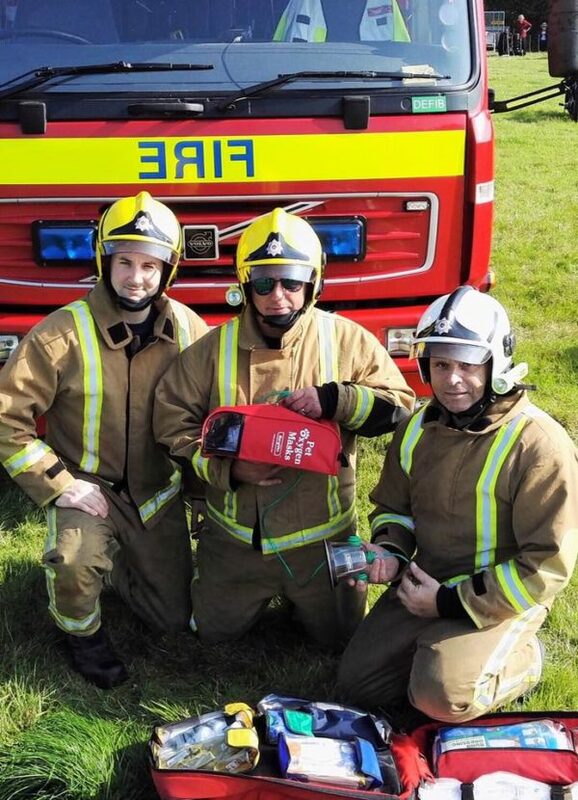 Two-day-old puppy saved by Devon firefighters with Smokey Paws oxygen mask! 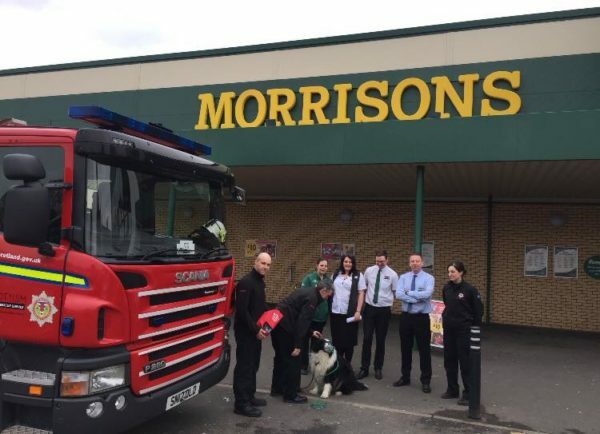 Morrisons in Dalkeith donate a set of animal oxygen masks to Dalkeith fire station! 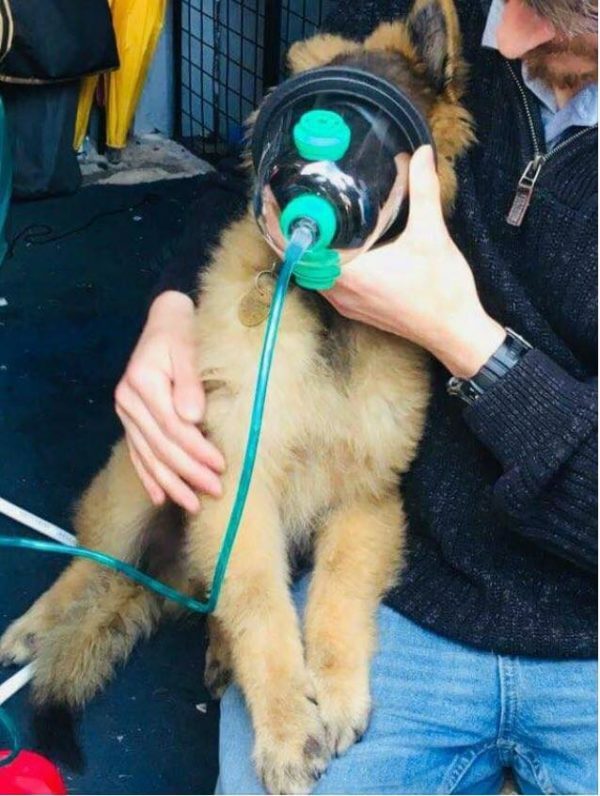 C.L.A.W.S. 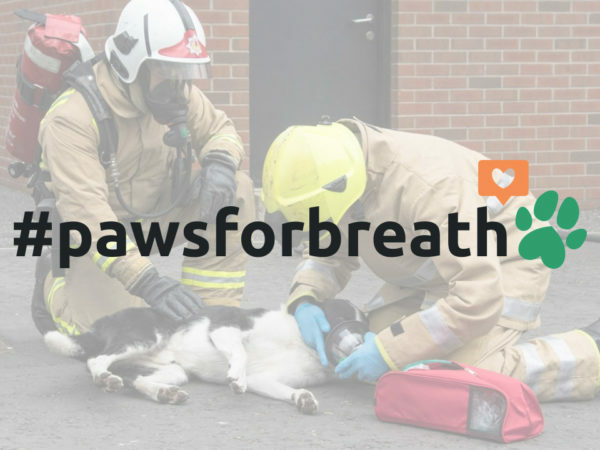 donate Smokey Paws oxygen masks to Lancashire Fire & Rescue Service! 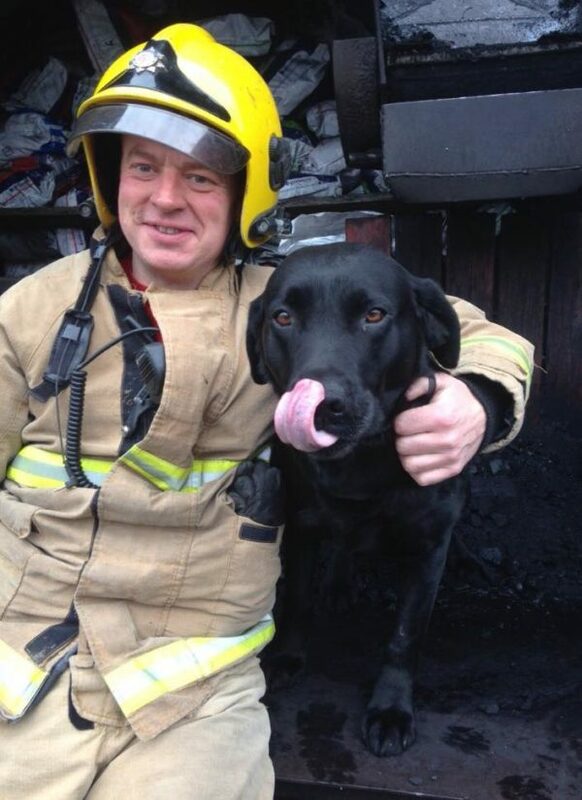 North Yorkshire Fire & Rescue treat Fern the dog with our masks! 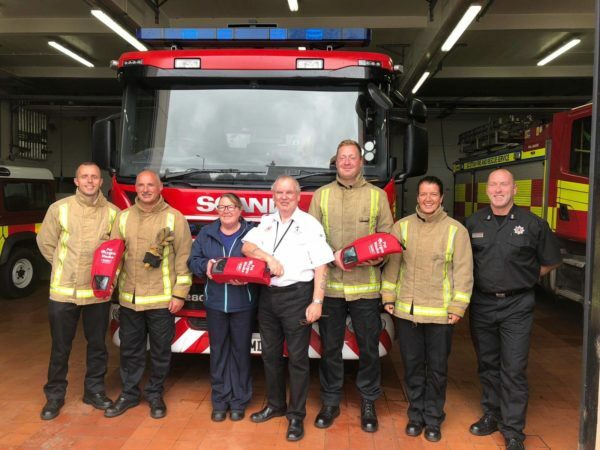 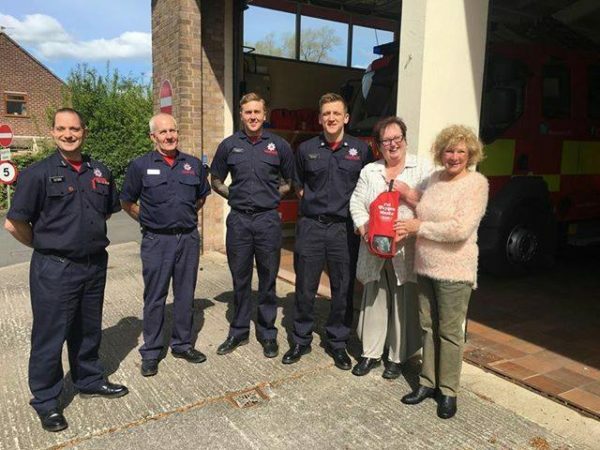 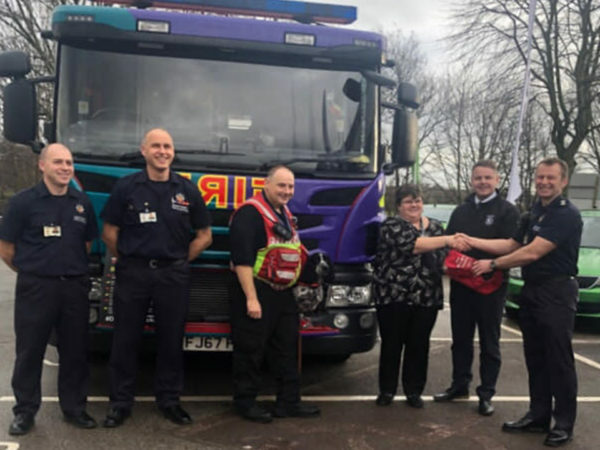 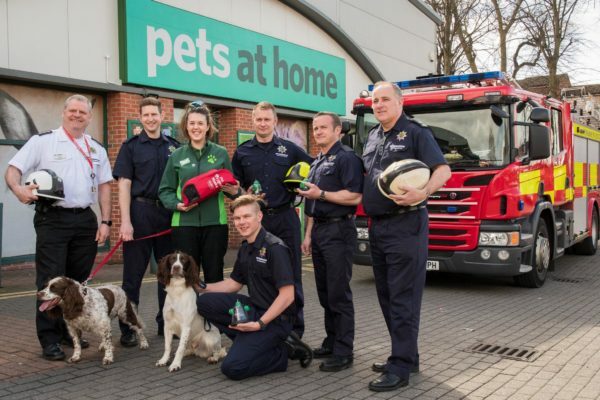 Pets at Home donate oxygen masks to Arnold Fire Station! 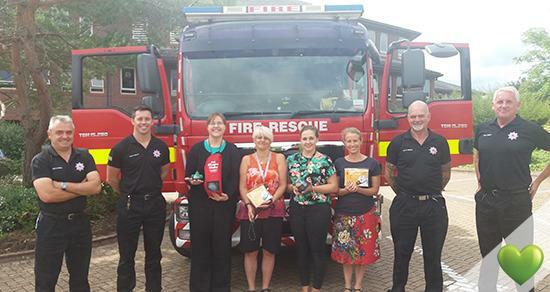 Swanage Fire Station now carrying our animal oxygen masks! 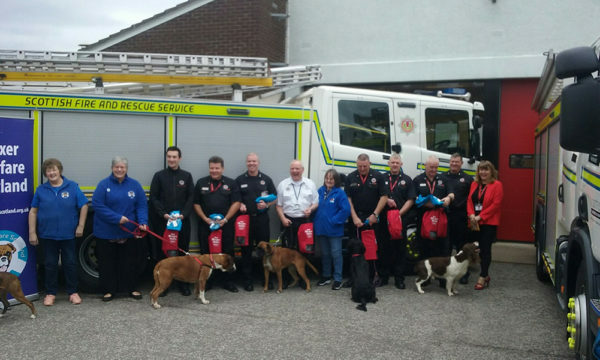 EXEmplar dogs donate an incredible 24 oxygen mask kits to first responders! 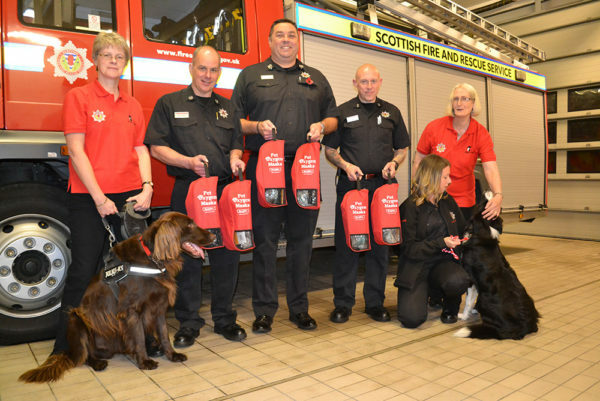 The Scottish Newfoundland Club donate funds for 11 sets of pet oxygen masks! 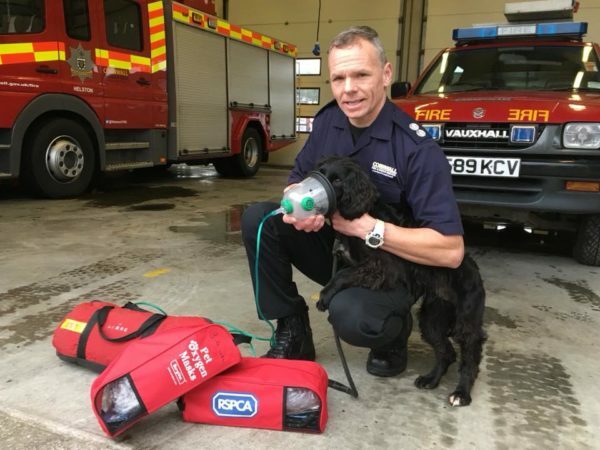 All Devon and Somerset Fire Engines to carry Smokey Paws Oxygen Masks! 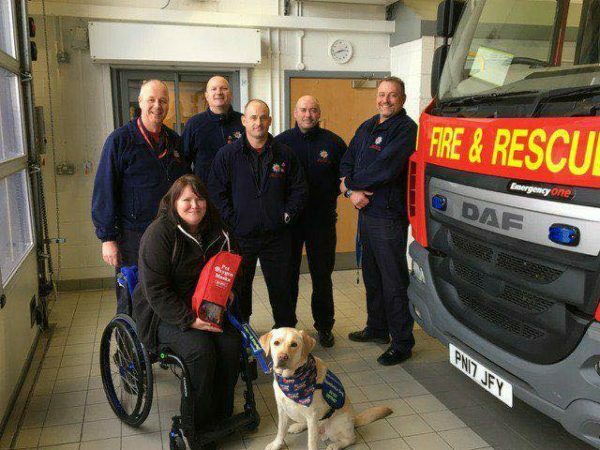 Staffordshire Fire and Rescue Service rescue dog and use our masks! 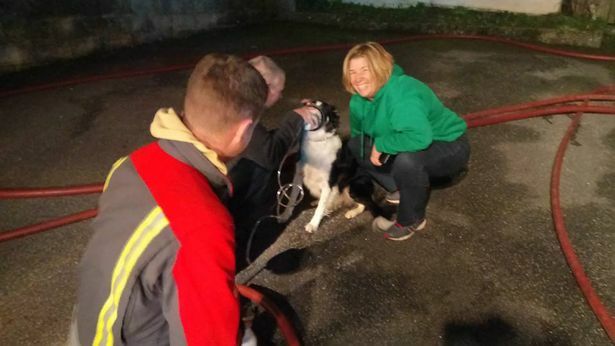 Collie first dog in Cornwall to benefit from our masks! 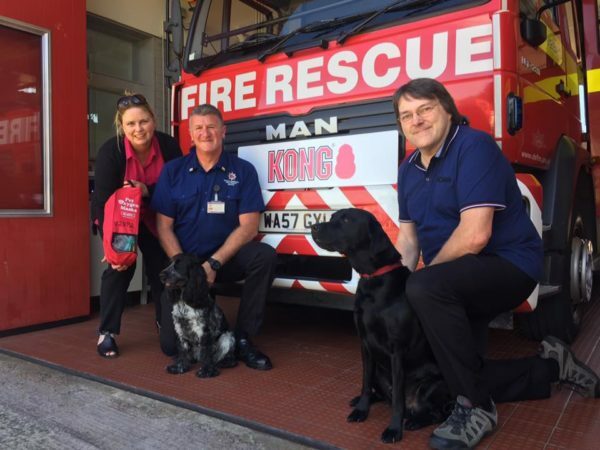 All Cornwall front line fire engines now equipped with Smokey Paws masks! 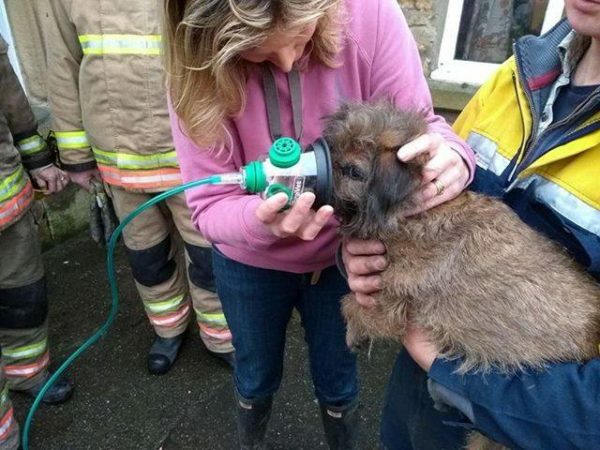 German Shepherd puppy in Plymouth rescued from fire! 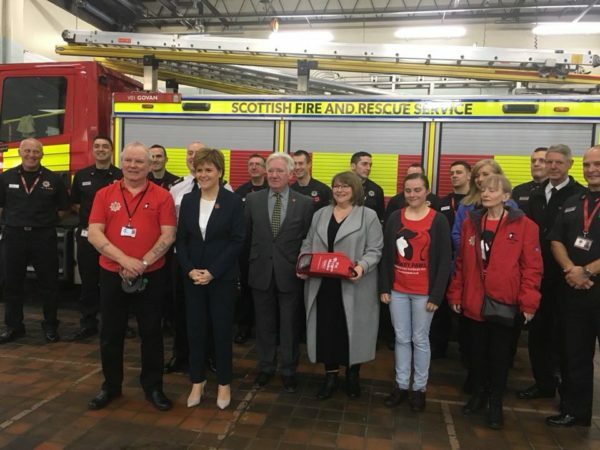 Scottish First Minister Nicola Sturgeon attends handover of Smokey Paws masks in Govan! 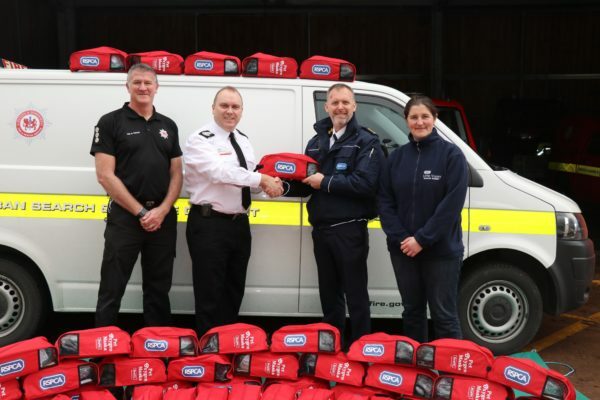 Five more oxygen kits delivered to Scottish Fire & Rescue engines! 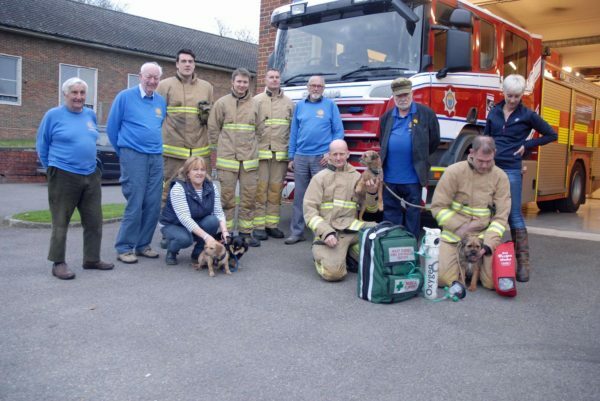 Suffolk fire engines receive their first animal oxygen mask kits! 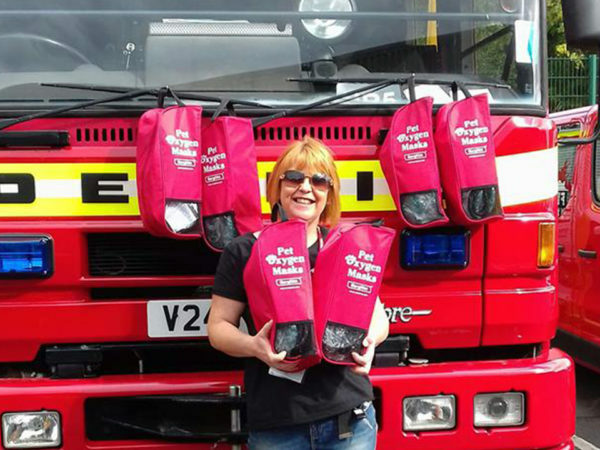 Shaftesbury Fire Station trained in pet first aid and carrying Smokey Paws masks! 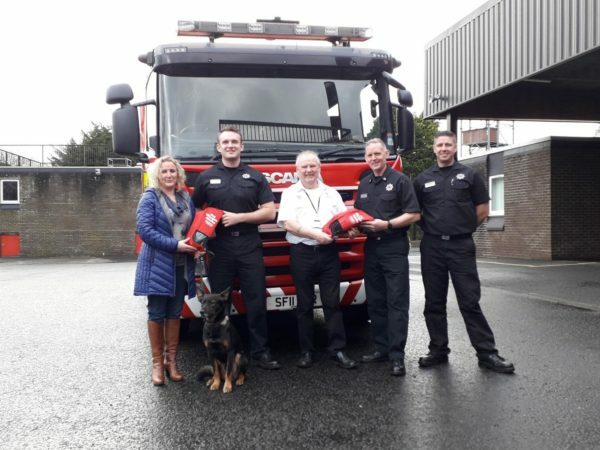 LV donate Smokey Paws masks to 8 local fire stations in Exeter! 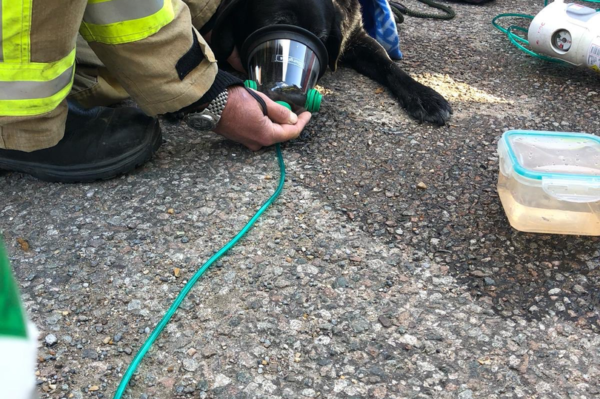 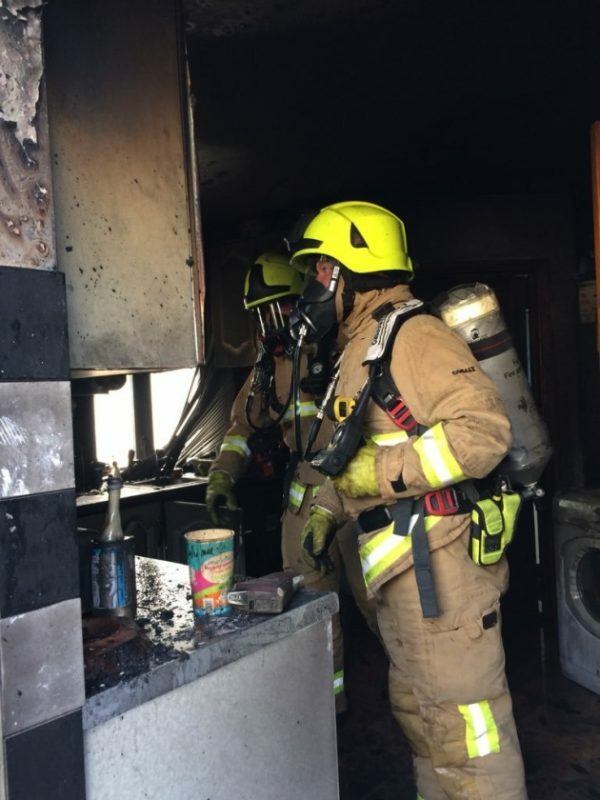 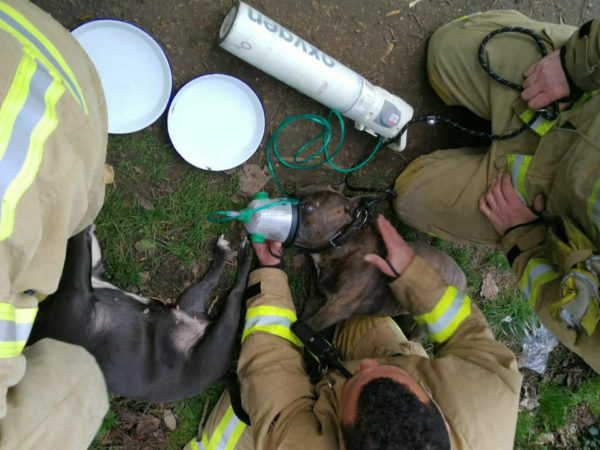 Oxfordshire Fire and Rescue Service trained in using Smokey Paws oxygen masks!